Teachers using the Blocksi dashboard can now take assessment in a “locked-down browser mode”. This means all internet traffic will be blocked, except for the assessment provider that you chose- whether it’s a quiz on Google Forms, a Schoology test, or an evaluation from Canvas. Either way, your students will only be focused on the assignment at hand. Teachers can also create their own custom assessments and save them for later use (see the bottom of page). 1. 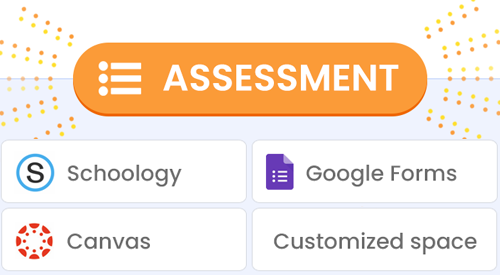 Once you start the class, click on the orange Assessment button to the right. 2. 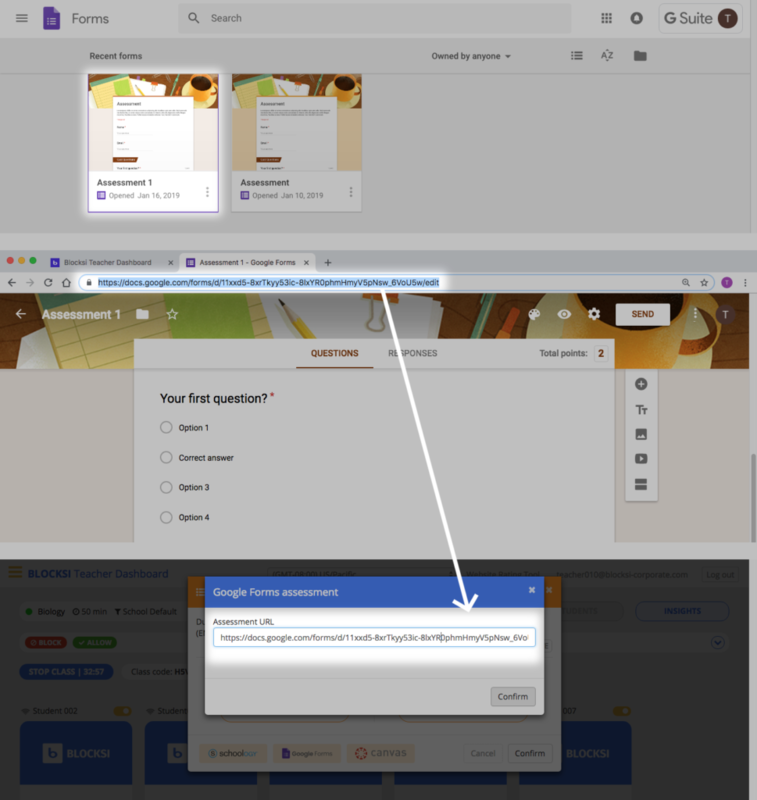 Click on “Google Forms” icon on the lower left corner and a window will pop up requesting a Google Forms URL. 3. Go to your Google Forms account and select your assessment. Now, copy the URL of this page and paste it in the Assessment URL window on the Blocksi dashboard and click Confirm. 4. You will see the Google form assessment open up on student’s screen, while all the other pages will be closed. If they try to access a different URL, they will be blocked. 5. When you’re finished, click on the button, and the previously opened tabs will pop back up. 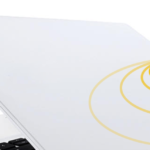 In this way, teachers can also do an assessment using Schoology and Canvas platforms by clicking on the respective buttons in the Assessment window. Make sure students stay focused- with Custom presets. 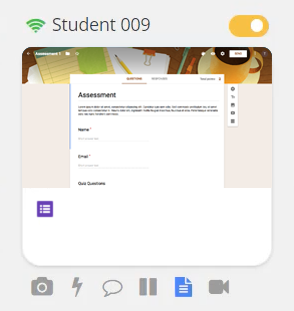 Custom presets can be used to lock student to a specific part of a website of your choosing; for example, if a teacher wants to omit browsing only to a certain part of Khan Academy or a specific area of BrainPop, they can do so by pasting the specific URL (or multiple) into the assessment window, and clicking on the button. Next time they want to use that preset, they simply click on the button and select the Preset assessment they previously created.